The lines in our palms act as registers, recording events and suggesting the possible outcomes of our actions and decisions. However our lines keep on changing according to our karmas we do providing a chart of the progress and development we make through our lines. There are 4 major palm reading lines in most hands. The major lines in our hand are the Life Line, the Head Line, the Heart Line and the Fate Line. To know major palm lines, these give basic information about you, like how you function physically, emotionally, and intellectually. These major lines of palmistry are only one source of information and other parts of the hand can tell you much about each of these major lines. It starts from the base of the palm from above the first bracket, circles half around the mount of Venus and ends below the mount of Jupiter and above the mount of lower mars. Contrary to popular misconception, the length of the Life Line does not determine how long you will live. In palm reading, the Life Line shows Health, Prosperity, Quality of life, Vitality, Sexuality and general energy level. The stronger the life line, the more robust and vigorous is the constitution. The life line when read with the heart line indicates the longevity. If the life line appears more prominent than the other major lines in the hand. Physical activities will take precedence over intellectual pursuits. The life line may start from an island or fork, which indicates an unfortunate childhood. The life line ending with a fork is both bad and good, depending on the position of the forked line. If one line of the fork goes into the Jupiter, it is good or if one line of the fork ends in a grill diseases like paralysis, loss of memory etc. are likely, as per the supportive indications of the palm. Subsidiary lines arising from the life line towards the mounts of Mercury, Sun, Saturn or Jupiter are called the secondary lines, which indicate the rises in life in the field indicated by the mount towards which these rising lines travel. A parallel line to the line of life on the side of the mount of venus is called “Mars line” or “the sister life line” which augments the life line. In palmistry, a double Life Line is often seen. This line echoes the Life Line, but can be even less than half as long, held along the curve of the Life Line. This is called an Angel Line. It signifies that angels or other supreme powers are watching over and protecting you. It increases the power of health and vitality in a person. The Head line begins on the thumb side of the hand and sweeps out towards the percussion edge. It starts from the base of the mount of Jupiter and above the lower Mars, extends towards the mount of Moon. It could be curved towards the mount of Moon, end at the base of mount of Moon or at its middle. It reflects your mind and brain and from the study of the head line it is possible to determine the quality and quantity of brain power. The Head Line shows things like Memory, Concentration, Level of intelligence, Type of intelligence. From this line we can make out the mentality, the power of mental concentration and the ability to exert self-control. A strong head line is associated with dynamic thinker. The stronger and clearer the line, the greater the clarity of thought. Mental processes are sharp, facts are assimilated logically. People with strong head lines possess excellent powers of comprehension and ability to concentrate for longer periods of time. In the normal course, the head line goes straight across the palm or slopes slightly downwards. If it goes upward towards the heart line, it is not considered good. It indicates that the person allows his feelings to overcome his better judgment. He loses self-control and is over come by emotions and passions. The bad effects get aggravated if the head line goes towards the mount of Saturn. It causes sudden death. If there is a cross, dot, or star at the end of such head line, on the mount of Saturn, sudden end of life is certain. A cut indicates head injury, break indicates brain disorder, cross or star indicates head injury or danger to head. A chain like line makes the person idiotic. An island or a dot at the end of the head line indicates mental disturbances. The severity of the affliction will depend upon the size of the island or dot. The bigger the island or dot the more serious the affliction. This however, be confirmed by other indications on the palm. Rarely in palmistry a double Head Line is seen. Doubling a line usually strengthens its energy. If the double Head Lines go in different directions or seem far apart, it can indicate more of a double-personality. This often indicates a lot of talent and an instinct for business. They will tend to do well in life. The Heart line also predicts your fate in a love affair. If the heart line is clear and deep, it reveals someone who is confident of his or her sexuality and is warm and generous towards others. People with a dominant heart line tend to act impulsively without thought for the consequences. It also indicates the dominance of emotions over mind (mind line) and physical energy (life line).The holder of a short heart line is a cool and rational being, in full control of his emotions and less likely to be swayed by the ups and downs of the heart. A sharply curved heart line is the sign of a passionate and highly emotional being. When the heart line terminates in between the index and middle fingers, it shows that the person devote himself to loved ones, and for a woman it is the mark of a good wife and mother. This gentle person is capable of enduring love and devotion. A line of heart which is having a chain formation gives poor health, a fork gives immorality, health problems etc. depending on the nature of fork of the way each forked line runs. A descending line is bad, crosses, cuts, stars, breaks on the line of heart are danger signs. 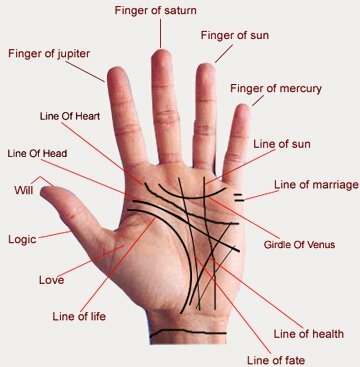 The Fate Line in palmistry is sometimes considered a minor line, rather than a major line. It doesn’t show up in every hand. Yet it is a dominant line, compared to the other minor lines. This line arises from the base of the palm, ascending towards the mount of Saturn. It is in the middle of the palm under ordinary conditions. But there could be many variations to it. It may merge with the life line at its starting place to some distance. The Fate Line shows Success, Career path, Possible types of Career, Pre-destined vocation. The fate line is a barometer of the degree of satisfaction one has with his abilities and actual accomplishments. 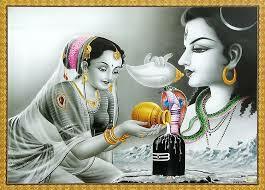 The fate line tells us the year of marriage as well as the appearance of a lover and a strong supporter. Fate lines that originate from the lower part of the life line is sign of determination, the person who creates his own fortune through willpower and perseverance. The fate line is also known as Popularity Line and belongs to the fortunate individual who will always enjoy popularity and benevolence from others. A strong, well-constructed fate line is associated with a self motivated individual, someone with plenty of drive and direction in life. Trustworthiness, qualities of leadership and seriousness are the characteristics of this individual. A line starting from inside the arc of the life line and merging with the fate line indicates an assistance from a family member. A faint fate line consisting of many short lines is the mark of indecisiveness and vagueness. Individuals who do not define their life goals and allow others to make decisions exhibit a poorly developed fate line. If the line has trident or a dident (three divergent lines or split into two lines), crosses, chain formation, islands, cuts, stars on it, then these are the indications of misfortunes. 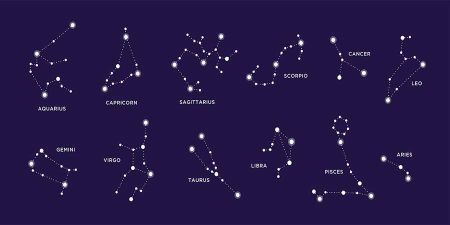 In the absence of a good life line or defective life line not supplemented by a Mars line, the fate line acts or supplementary of the life line, thus enhancing its strength to give fortune. There can be no fortune without life. Living itself against odds is a fortune.